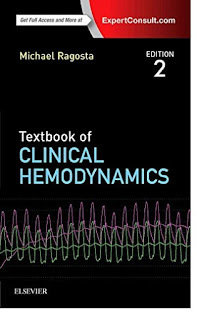 A highly clinical focus and clear, vibrant illustrations make Textbook of Clinical Hemodynamics, 2nd Edition, by Dr. Michael Ragosta, the resource of choice for accurately analyzing hemodynamic waveforms generated in cardiac catheterization labs. This easy-to-use, disease-oriented reference―ideal for physicians, nurses, and technicians―offers the unparalleled detail and visual support you need for interpreting the findings you encounter in practice. New coverage throughout keeps everyone on the cardiac team up to date with the latest concepts and skills, ensuring more effective monitoring and treatment of patients with cardiac disease. Expert Consult™ eBook version included with purchase, which allows you to search all of the text, figures, and references from the book on a variety of devices. 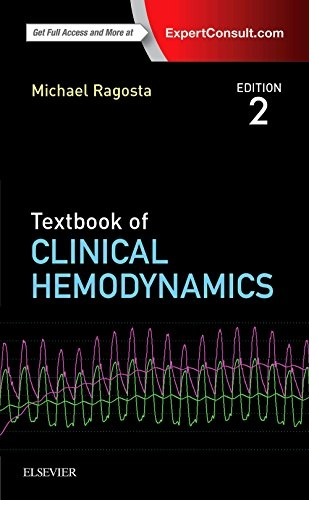 Features extensive updates throughout, with expanded coverage of aortic valve and mitral valve disorders, including new percutaneous valve treatments (TAVR, mitral clip); comparison of hemodynamic support devices; a new chapter on pulmonary hypertension; and expanded coverage of coronary hemodynamics. Screening for Intracardiac Shunts and Performance of a "Shunt Run"